Whether you have the velvety smooth Prismacolor Premiere Pencils or those that skew a fair bit firmer like the Caran d’Ache – the paper that you use on them will behave much differently. The best papers for colored pencil, regardless of how rigid the pencil lead is, should resist tearing, be able to withstand several layers from a variety of colors, composed of quality materials, and have key archival qualities to prevent yellowing – like the Legion Stonehenge Pad. The purpose of today’s guide is to help you find the best paper for your colored pencils. But furthermore, we are also going to go over a few key considerations you will want to take into account before making a purchase. When researching the best paper for colored pencils, we noticed a few attributes that kept bubbling to the surface that were really important to artists. Naturally the size of your paper will be important when selecting the perfect one for you. As my mother always said while cooking – you can always add more, never less. The same holds true when it comes to finding the perfect paper for your colored pencils. In general, we recommend always going a size or two larger than you might be comfortable with. If you want a smaller scale drawing, you can simply remove the sheet from the pad and cut to size. 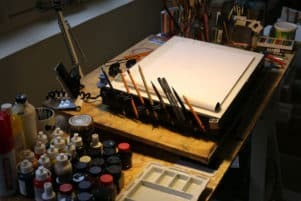 Now naturally, if you plan on taking your sketch pad with you out in the field and you want to capture some subjects – a more discrete drawing pad will be preferred. So, take a moment to think what paper works best for the type of drawings you plan on making before buying. If unsure, a 9” x 12” is a standard sized pad in the world of colored pencil paper – and should work for most people. This is always a big factor when choosing paper for any application, colored pencils included. The amount of heft that the paper has can be advantageous as it can withstand quite a bit of abuse before it begins to show any signs of fraying or tearing. If you find when using your colored pencils that you are rather accident prone and have to reach for your kneaded eraser or eraser pencil (these things are really awesome – highly recommended to check out), a heavy weighted paper will resist any tearing. Now, there is an upper and lower limit to how much weight you should go with. Generally speaking, we recommend that artists using colored pencils stick somewhere between 150 to 300 GSM* (about 90 to 140 lbs). 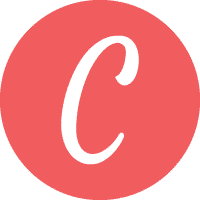 *We like to use the metric system here on Createlet as we find it’s a bit clearer and easier to explain when it comes to talking about paper. The fiber of the paper itself can also have a measurable impact on how your colored pencils react. If you like to layer your drawings, then a rougher paper that is based on a cotton or wood pulp will be preferred. However, for those who like a much smoother surface, then one that is made from vellum will be a bit better. 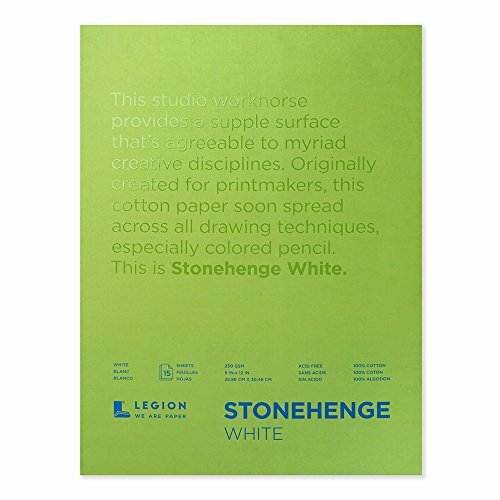 We (and many artists) loved the Legion Stonehenge Pad as it was crafted from a mixture between vellum and cotton for an even blend. By and large, most paper suited for color pencils will be hot pressed. While the name infers its production method, the final texture will be starkly different between these two. Cold press paper is largely used in some of the best watercolor papers or top rated papers for acrylic as it provides a large amount of texture and tooth on the surface – making it great for watercolors to work with effortlessly. Some colored pencil artists do like rougher cold press paper as it has advantages when it comes to layering. On the other hand, standard drawing paper or copy paper that you are likely familiar with will be hot pressed. 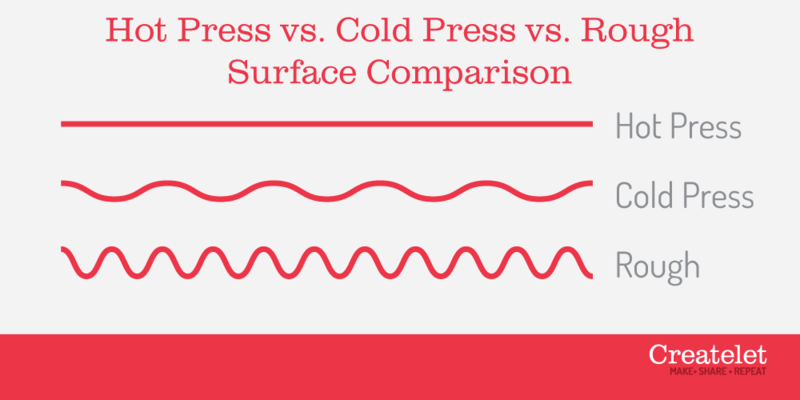 Hot pressed paper will have a light grippy texture to it that can handle a few layers at most but is generally considered to be a slightly smoother surface when compared to cold pressed paper. Should you be doing your colored pencil drawing as a commissioned piece or simply want your drawing to last a lifetime, then you will want to get a paper that has some archival qualities built into it. 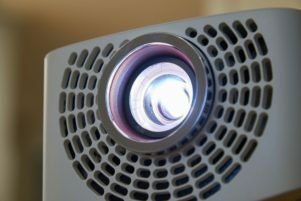 Most notably, you will want a paper that is acid free, chlorine free, absent of optical brighteners, and spiral bound. These types of papers will resist yellowing and withstand the test of time. The reason why we recommend spiral bound papers for preservation is that there will be no glue touching the paper – which in often cases can contain ingredients that deteriorate the paper over many years. Does this mean you should avoid glue bound paper completely? You can simply cut away the binding side of the paper. When reviewing papers suited for colored pencils, we found that the average cost per sheet was about $0.64 – with a range between $0.17 (Canson XL Series Mix Media Paper Pad) to $1.40 (Fabriano Artistico). Given that only a few companies sell their paper by the sheet, you will find that pads of paper range anywhere between $9 and $28 (of course number of sheets included varies greatly). Whether you are a beginner or a professional, you likely know how much papers can really vary in quality – and a lot of this depends on the type of colored pencils you are using. 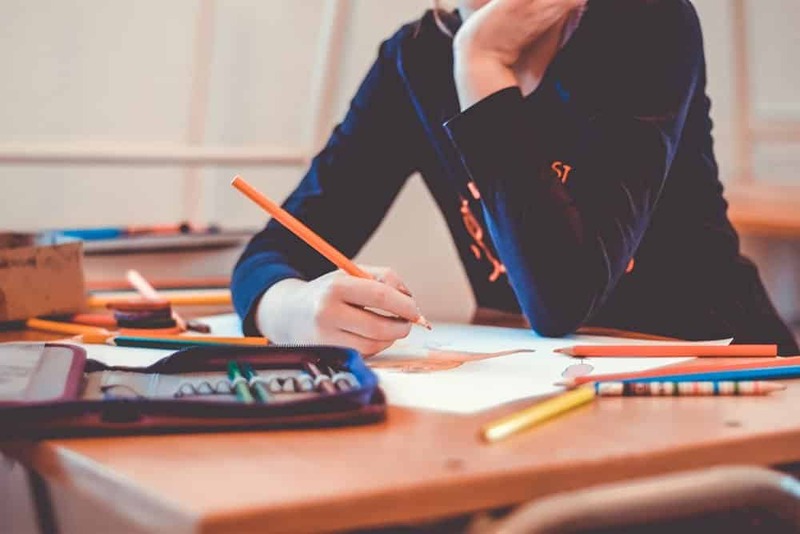 Given that colored pencils lead can vary greatly from one brand to another, we do recommend testing out a few different pads and see which one works best for you. Unfortunately, what might be great for Prismacolor pencils may not work nearly as well for say Derwent ProColours or Faber Castell Polychromos. The highest rated and most widely respected paper for colored pencils on our list comes from Legion. This paper is unlike any others on our list, and by far performs the best for most soft leaded colored pencils on the market today (i.e. Prismacolor). But what’s remarkable about this paper is that it was initially made for printmaking purposes, not colored pencils. Crafted from 100% cotton, this paper features a natural pH, is acid and chlorine free, and contains no optical brighteners. Making it able to withstand the test of time without any adverse yellowing or deterioration. Weighing in at a hefty 250 GSMs it’s also one of the heavier papers on our list (only the Strathmore Bristol Vellum and Fabriano Artistico are heavier), making it able to withstand abuse during your artistic creation process. Given that this paper is intended for professional applications, we would recommend not using it for technique or texture practice, as it does cost about $1.13 per sheet. Those who do work on this paper regularly love the slightly textured surface that can receive a few layers from your colored pencils. Allowing you to easily stay within the family of papers for both studio and travel/classroom use. Overall, this paper by Legion Stonehenge is among the best. The texture is perfect for most colored pencils and the archival qualities are second to none. If you want the best surface for your colored pencils, then try out this pad by Legion Stonehenge – you won’t be disappointed. Artists from all mediums love the quality that Canson delivers when it comes to their wide variety of surfaces. Founded in 1557, it’s easy to see that they have perfected the process when it comes to making paper – as we found out when reviewing the best paper for oil pastels. What we and many other artists really loved about the Canson XL Series was a mixture of both high performance and value. 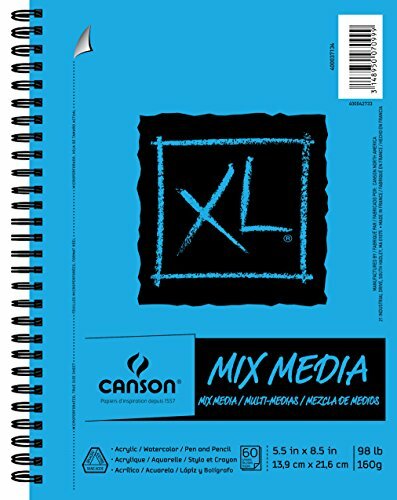 Now Canson isn’t typically a name that you associate with budget supplies – however, the Mix Media Pad is one of the cheapest on our list with a price tag of only $0.17 per sheet (60 sheets included in the pad). Making this the absolute perfect pad of paper for beginners who want to explore new techniques with their colored pencils. In addition to its beginner friendly nature, we also loved the scales that Canson offers. So, if you want one pad for the field and one for the studio, then you will have no problem sticking with the same brand – which will be great for getting predictability in your surface no matter where you end up drawing. Overall, for beginners it doesn’t get any better than this. The quality, texture, and friendly price tag makes this perfect for those who are on a restricted budget but don’t want inferior art supplies. Probably one of the most familiar and instantly recognizable brands on our list will be the 22-year-old company, Moleskine. Whether it’s for note taking, shopping lists, or planning, Moleskine has worked their way into just about every organizational facet of our lives. While the sketchbook we are reviewing today isn’t necessarily designed specifically for colored pencils – it can serve well in a pinch when making quick studies. Making it extremely easy to go across their line and find the perfect one for you. The pages are a toned ivory, acid-free, and feature rounded corners. Secondly, the pouch on the back pocket is great for small little flat tools (i.e. ruler, view catcher, color swatches, etc.). The paper does have a 165 GSM weight and is acceptable for colored pencil use. Overall, there is no beating a Moleskine sketchbook when it comes to outdoor drawing. Whether you go to your local coffee shop or off the beaten path, Moleskine books easily withstand the test of time and abuse. 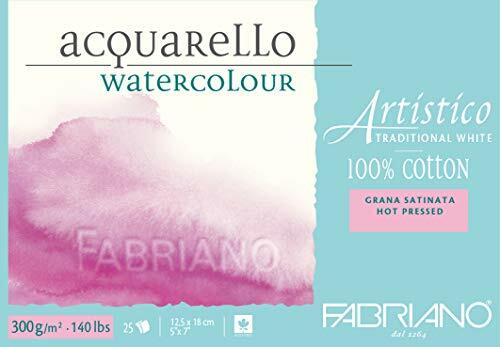 Technically classified as a watercolor paper, this pad by Fabriano Artistico is perfect for those who have slightly harder colored pencils (i.e. Faber Castell Polychromos), yet still want a surface that can be blended, scratched, and erased without faltering. While most watercolor papers are cold pressed (which allow for a much greater texture and tooth), this pad by Fabriano Artistico is hot pressed, greatly reducing the amount of tooth, but still retaining a heavy weight (300 GSM) – making this one of the heaviest papers to make our list. Available in individual sheets, rolls, and blocks – the scale of which you can buy this paper is also one of the widest selections on our list as well. Now if there is any downside to this paper it would be the price. At $1.40 for a single sheet – it’s the most expensive. Unless you have a lofty budget, this paper is well suited for professional artists who know what they want from their surface and can draw out its best qualities. Overall, it’s a specific use case paper. If you have a colored pencils with a harder lead, then you will love the beautiful texture and layering you will be able to achieve. If you are a beginner (or perhaps even intermediate) level artist, then there are perhaps better selections on our list to choose from. A company that has been trusted by artists in many different mediums, Strathmore sets the standard in most categories when it comes to paper. 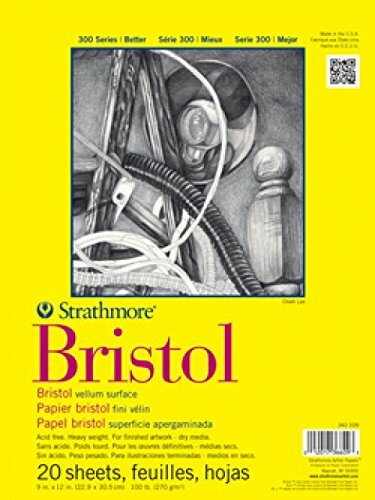 While not exactly a surface designed specifically for colored pencils, if you want that – check out the Strathmore 400 Series Colored Pencil Paper, the 300 Series Bristol Vellum Pad is perfect for those artists who still want a slightly textured and different surface to work with. 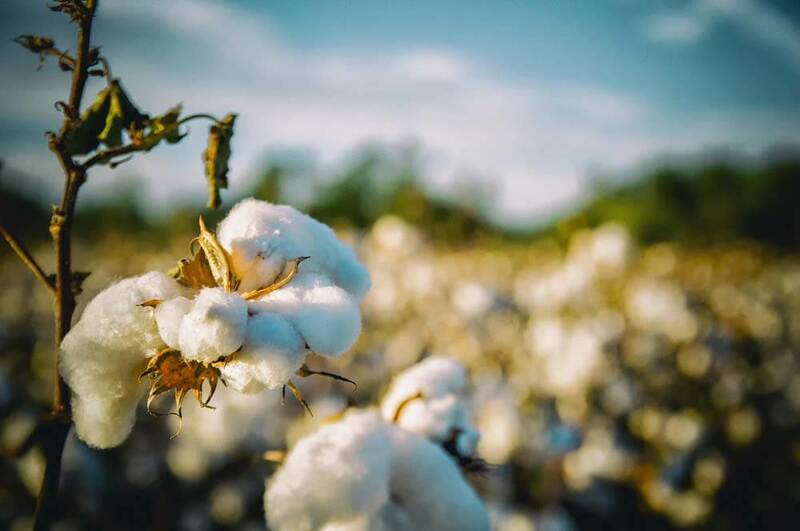 Vellum, which used to be made from prepared animal skin (source), is now made in a much more humane way – synthetic plant material into multiply sheets. The end result is a surface that has a much greater backbone (due to being multi-ply instead of just a single sheet) and carries a weight of 270 GSM (100 lb). As you can see, they have two completely different applications! As we mentioned earlier, when going bigger you can always cut to scale. 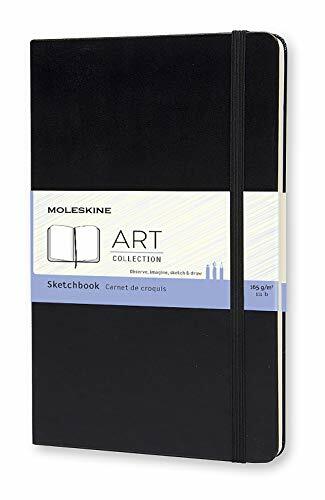 But if you do want a smaller pad to take with you to school or outdoors, we would recommend other brands, particularly Moleskine as the smallest sized offered by Strathmore here is still a rather large 9″ x 12″ pad. Overall, this paper is great for studio use. The multi-ply construction makes this a perfect paper to withstand plenty abuse while not being too rough or as textured as a watercolor paper. We just wish Strathmore offered a few smaller sized options. USA based Bee Paper provides the perfect entry level pad for beginners. Designed specifically for colored pencils (a rarity in the paper industry), this 50 sheet, spiral bound journal has a nice textured surface that should be able to withstand a few layers of your favorite colored pencils. While this is more suited for beginners, a few of the archival qualities in the paper are welcomed – including both a spiral bound and is acid free. One of the lightest paper weights on our list – 147 GSM, it’s also one of the cheapest (Canson Mix Media Pad being the other). At only $0.30 per sheet, it’s a great way to practice your stroke and layering work before moving onto premium surfaces. Crafted from 30% post-consumer paper, it still has a sturdy backbone that can withstand some abuse from your favorite eraser. So, if you really like the feel and performance of these surfaces, and want to take a smaller one for outdoor or classroom use, then the smaller sizes may make sense. 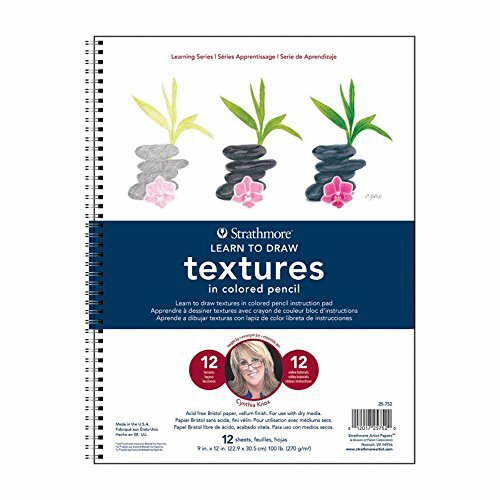 Overall, this is a beginners colored pencil paper that is perfect for practicing. 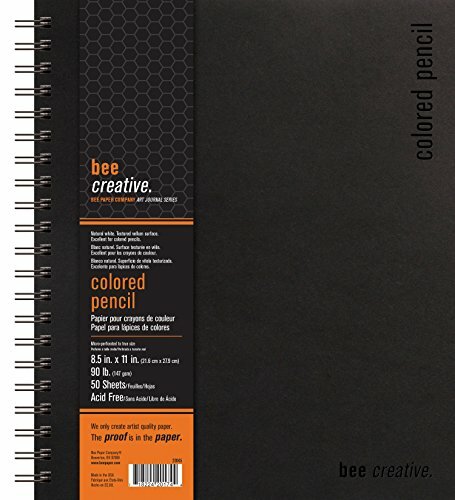 It performs well, has some adequate heft to it and should work well with most colored pencils. 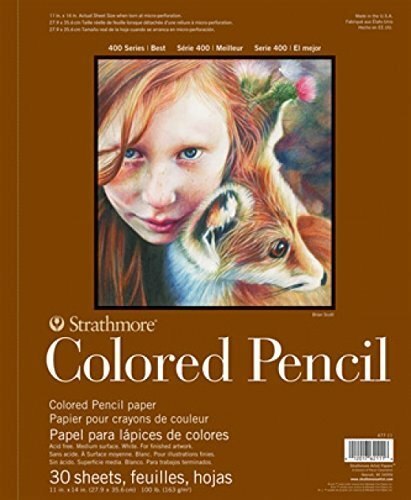 Next up from Strathmore is their 400 Series Colored Pencil paper pad. Of all the surfaces featured on our list, this one was by far the most polarizing, which was surprising given that it was designed specifically for colored pencils. The biggest talking point among artists was the texture. Much rougher than most, this paper has a surface that is great for adding several layers but does allow tooth to show through in the finished piece. We think those artists who have much smoother and softer leads will think this paper has some great advantages (think Prismacolor). When looking at the sizes available from Strathmore, their variety is pretty good – especially given that they just introduced a smaller travel friendly option. At only $0.75 per sheet, this pad of paper is just above average (in terms of price), which we think is pretty fair considering this is one of the few papers that exist on the market that is specifically made for colored pencils. With acid free properties and a 270 GSM (one of the highest on our list), it should have plenty of back bone to not only withstand quite a bit of abuse with an eraser, but also look great for years down the road. Overall, this paper by Strathmore is a solid performer. The texture is of course polarizing, and you will either love it or hate it. For the slightly above average price per sheet, it’s a paper worth trying to see what you think – especially if you have softer colored pencils. Using the same paper in the 300 Series Bristol Vellum pad – this drawing pad by Strathmore is unlike any others on our list. And personally, we wouldn’t consider it to be a formal drawing pad for colored pencils per se. …and that’s a fair assumption. What really makes this pad truly unique is that it contains drawing lessons for those who are just starting out. Making this pad perfect for those who find a blank white sheet intimidating, this pad features a plethora of lessons (12 in total) accompanied by video tutorials (which you can see here). Available in two different books (textures & nature), you will follow the artist along when recreating various subjects. Overall, this book is great for those trying out the medium for the very first time and don’t want to pay full price for an art class. See how your colored pencils come to life when you follow along at home. Researching and selecting the best paper for colored pencils in 2019 proved to be rather difficult. With so many paper types available in the marketplace that are so vastly different, finding the perfect surface for colored pencils was tough. However, after spending hours reading product reviews, reviewing artist feedback in forums and sites like DeviantArt, /r/ColoredPencils, /r/ArtistsLounge, Wet Canvas, and many others – we are confident that we found the best paper for colored pencils. Naturally, we couldn’t have reviewed every surface that was on the market, so if you feel like one should be added, we would love to know. Now as we have mentioned time and time again here on the site, its not the supplies that matter when becoming a great artist, instead, it’s the practice. So be sure to always push yourself as an artist and always look to learn new things. 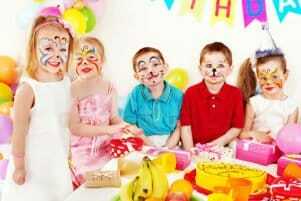 But never forget to have fun!